being little • bristol uk fashion & lifestyle blog. : john lewis christmas decorations. 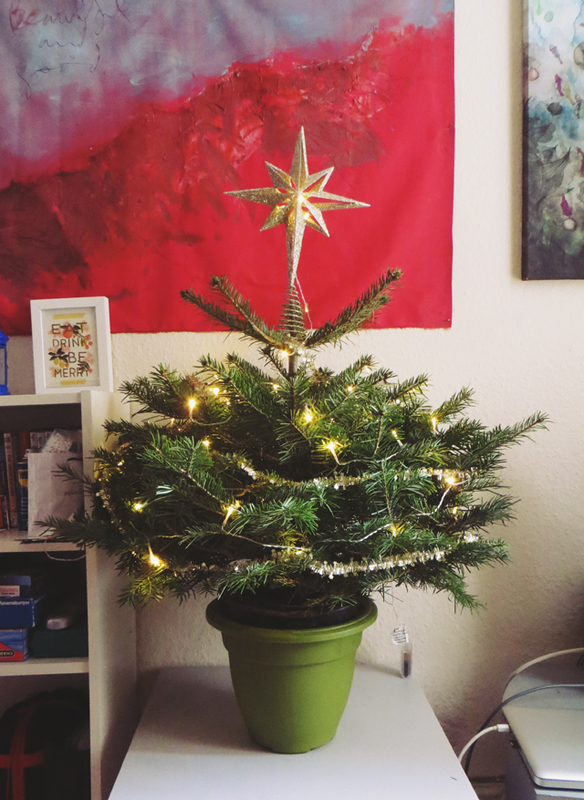 This year I bought my very first Christmas tree. Look at it! It's so tiny, it's so "being little".. but I needed some bits and bobs to decorate it, as well as a few extras to make the rest of the room look Christmassy. And that's where John Lewis comes in. Their Christmas decorations range is full of beautiful things, and I chose a few to get our house looking suitably festive! I wanted to keep the tree very simple with a gold theme. I don't really like a whole lot to be on it. 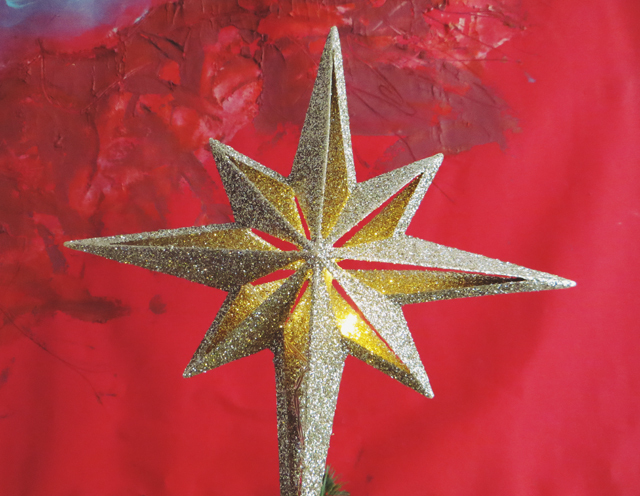 I chose these little battery operated lights* so that they wouldn't overwhelm or weigh down the tree, then some thin gold tinsel* and a beautiful sparkly star* to finish it off. We have quite a lot of bare walls in our lounge, so I thought this super cute pom pom garland* (which is now half price!!) would cheer up one of the walls a bit. 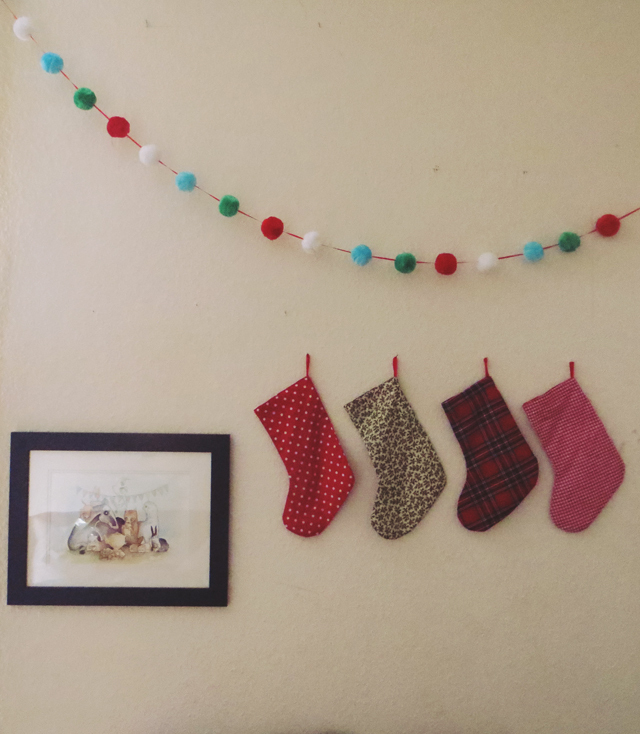 I hung four of my handmade stockings underneath too, as we don't have a fireplace to hang them! How cute does this wall look now?! 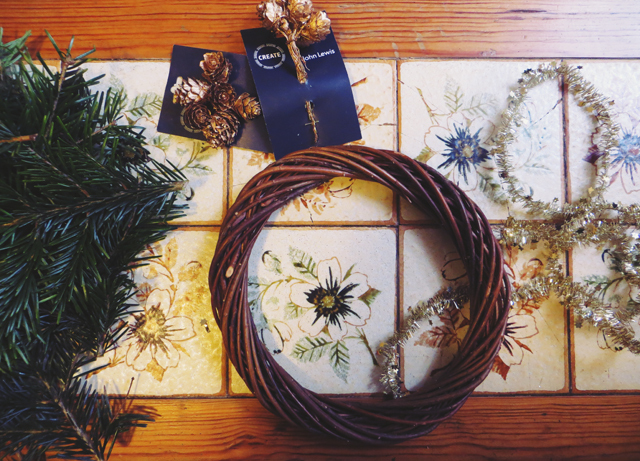 Finally, I picked some bits to make a wreath for our front door. To the wreath frame* I added few offcuts from the tree, some leftover tinsel, and these gold pine cones*, as well as a little leftover wire and ribbon from other projects. It's pretty messy, but that's how I like it. Since the crazy gales we've had, it's looking slightly worse for wear, but that can easily be fixed with a little more wire! 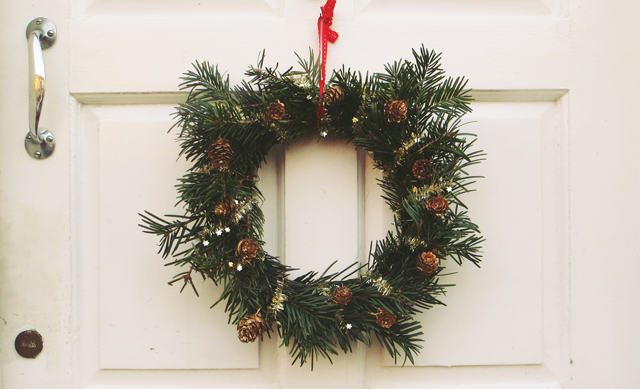 Have you decorated your house for Christmas yet? Where did you get your decorations? 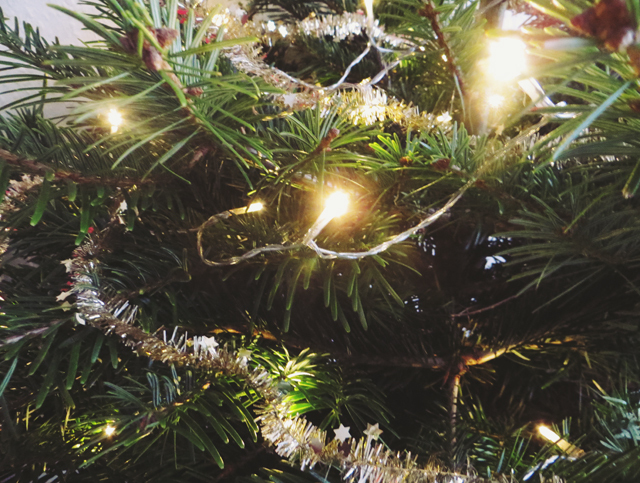 Your tree is so dinky and cute - I slightly wish I'd gone for a smaller tree this year now. And I adore those pompoms as 'bunting', might have to raid a craft store and attempt to make my own tomorrow! Your tree is simply stunning. Welcome to the real tree club. You'll never go back now that you have that beautiful christmasy smell in your house. I love it. 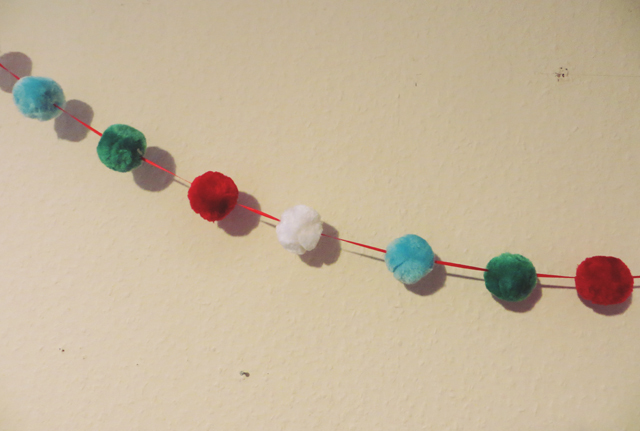 I really love the pom pom garland. I might have to copy that if you don't mind! Aww the tree is adorable! It looks all squashed and cute! You've decorated your home so beautifully! love that tree its so unique!